In a world full of lies, I am relieved to know there are so many helpful, fun, creative ways to surround ourselves with truth. I’d like you to meet Anne, the master designer behind Glory Designs. 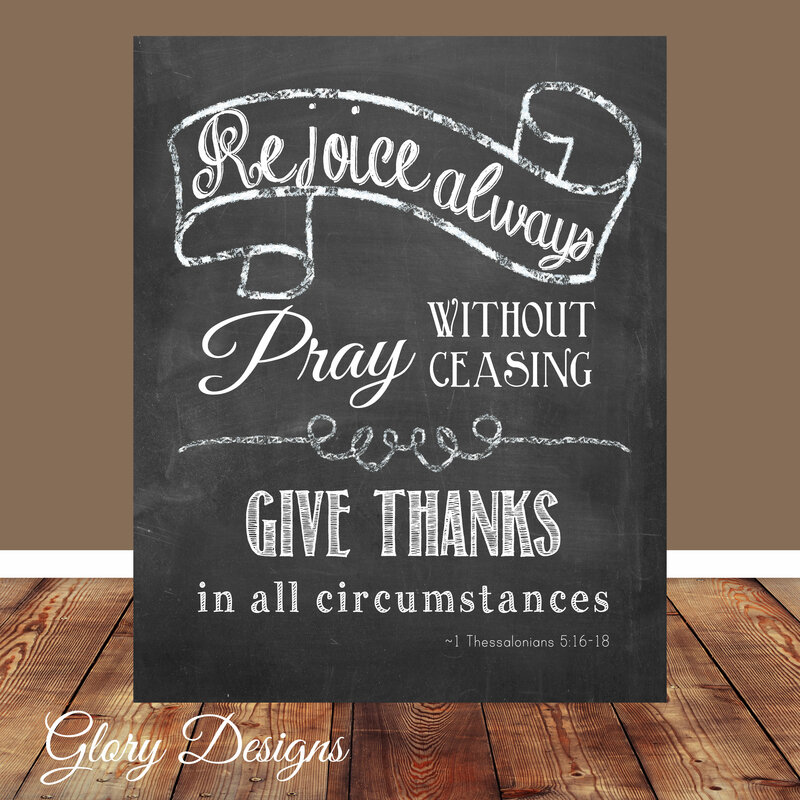 I came upon Anne’s Scripture-art shop as I was searching for a gift for those who participated in the 2015 Memory Challenge. Anne has been so kind as to answer a few questions so that you can learn the story behind her shop and just how God is using her to get the Word out. A couple of amazing “testimonies” are hidden in this interview. Don’t miss it! Hello, Anne, and welcome to journeyoftheword.com. Thank you for taking the time to answer a few questions. First of all, could you please tell us a little about yourself? I am blessed to be married to an amazing man for the past 13 years, and a mom to 3 great kids. My oldest daughter is 9 yrs. old and I have twins who are 5 yrs. old. They fill my life with a lot of joy and craziness. I am passionate about following Christ and living as a daughter of God. Our family loves worship and we fill our house with music and silly dancing sometimes. I currently homeschool our children which is a unique opportunity to spend a considerable amount of time with my kids. I have the distinct pleasure of leading the Women’s ministry at my local church, and I am also a local chapter president of the Christian Women Small Business Association. I have a heart for women and to see their lives transformed. For example, I am an advocate for the precious women trapped in human trafficking. I am the designer and owner of a small online business called Glory Designs. I thrive on my time partnering with God, creating designs from His word. What led you to faith in Christ? What amazes you about God’s work in your life? My faith in Christ started as a child for sure. My parents helped lay a very strong foundation of faith. They showed me the love of Christ continually through their actions and words. They were the same at home as they were at church. That’s a powerful example to have and I am so grateful for it. I gained a real hunger and thirst for Christ from His word. His Word continually sharpens and shapes my faith in Him. Please tell us about Glory Designs. And why the name? 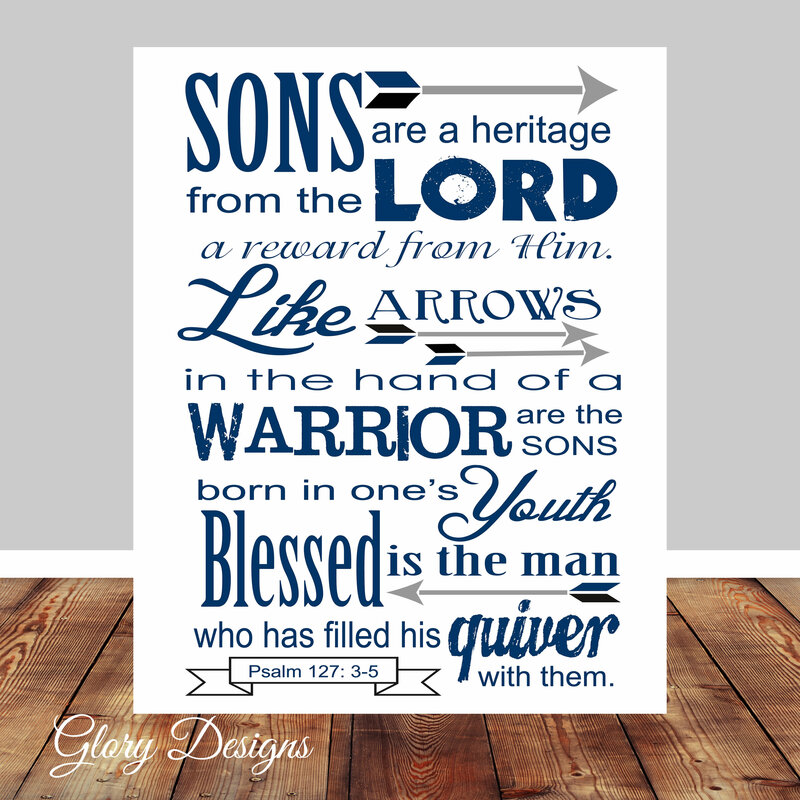 Glory Designs is my online graphic design and typography business. I create digital printable designs and a lot of custom designs for customers as well. It has become a part-time job that allows me to stay at home with my family. It started out just as a way to bring encouragement to friends and family, but quickly began taking shape as a real business. I originally had given my business a different name, but it never felt right. I sought the Lord for a different name. The verse that came to mind was “Whatever you do, do it all for the Glory of God.” 1 Cor. 10:31 So, I decided if I was going to design I would try to bring Glory to God in it. Hence the name Glory Designs. I want His name to be magnified above anything else. 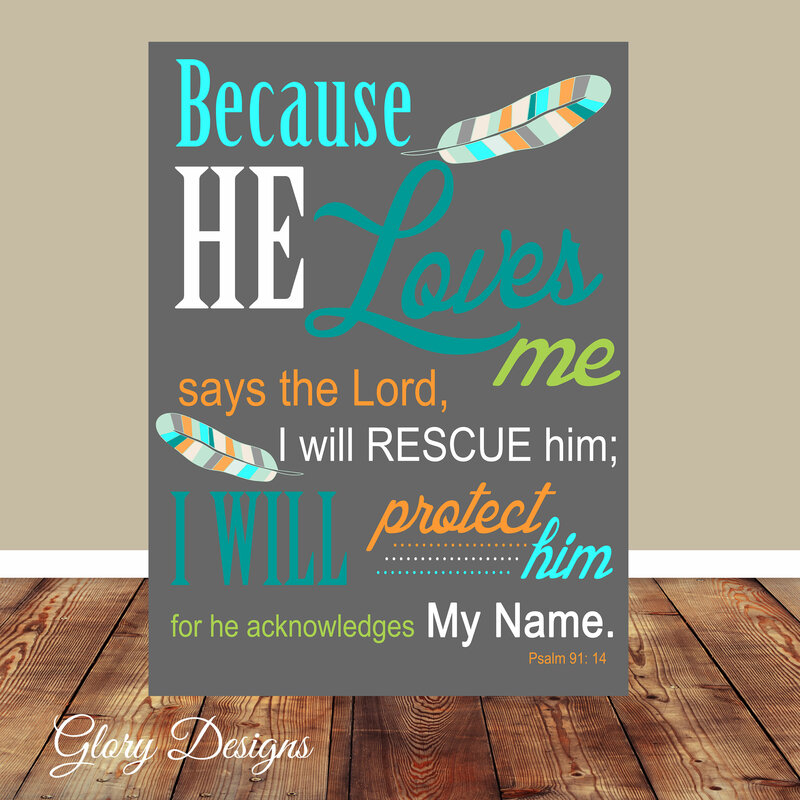 How and why did you decide to create Scripture art prints? Why the Bible? Why not something else? I decided to do scripture because it has LIFE and POWER in it. I absolutely love His word. I have seen the transformation and encouragement it has brought into my own life, and I desire that for others too. His word changes how we think and often how we feel. It brings us back to the truth even in the midst of the chaos that goes on in our lives. I see Glory Designs as partly a ministry in addition to being a business. To share God’s word in a creative way with His children is an awesome job to have. What is the creative process for your designs? I don’t have a set creative process…I find each design I do carries a different story. Sometimes I create designs from my own personal journey and what God is saying to me. Other times I am creating a design from the perspective of my clients. I try to step into their shoes for a moment. Many clients want scriptures that have deep meaning for them. Surprisingly people share so much of their life with me while we are working together. I have cried tears of heartache and rejoiced with them in their joy. So, I would say my creative process is just to hear from God and allow myself to be His vessel. Could you share a few ‘testimonies’ from your buyers? How has the Word of God, in glorious design, blessed others? I am so grateful to have so many clients open a little window into their lives with me for a time and share how God’s word has affected their lives. I count that a great privilege. One of my favorite parts of Glory Designs is that I sell in a global market place. I get orders from all over the world. Some countries I have had to pull out a map to find them. Here are two of my favorite testimonies. Recently, I worked with a woman whose husband was an evangelist. He had become disabled and altered their lives considerable. I did over 40 custom designs for her. She hung them up all over their home to surround her husband with God’s word to encourage him daily. Another favorite testimony comes from a missionary in a country where the gospel is illegal. We had to be creative in how to get the designs to her. She took a risk in purchasing it. She hung it in her kitchen as a constant encouragement. It reminds me how precious God’s word truly is and blessed to have access to it in America. Do you have any Scripture-study tips? When studying scripture I often find myself reading the same passages over and over and God makes each time fresh. Pulling out new things I have never noticed before. I take a chapter or two and read it for a while several days or sometimes weeks. While I may not memorize the passages the words soak into my mind. Please share a favorite verse of Scripture and why it has strengthened your soul. There are several scriptures that I count as life verses. Here are a few that continue to strengthen, challenge and encourage me: 1 John 4:4, 2 Chronicles 20:17, Galatians 2:20, Ephesians 4, Psalm 139, 1 John 3:1, and Psalm 103. I love her beautiful designs! Thank you for sharing!